Jon Langford is most widely known for the music he creates with the Mekons and the Waco Brothers. But since he moved to Chicago in 1992 the Welsh-born artist/musician has gained increasing acclaim for his visual art, too. Nashville Radio reproduces 215 of his paintings and etchings, along with autobiographical writings and song lyrics. 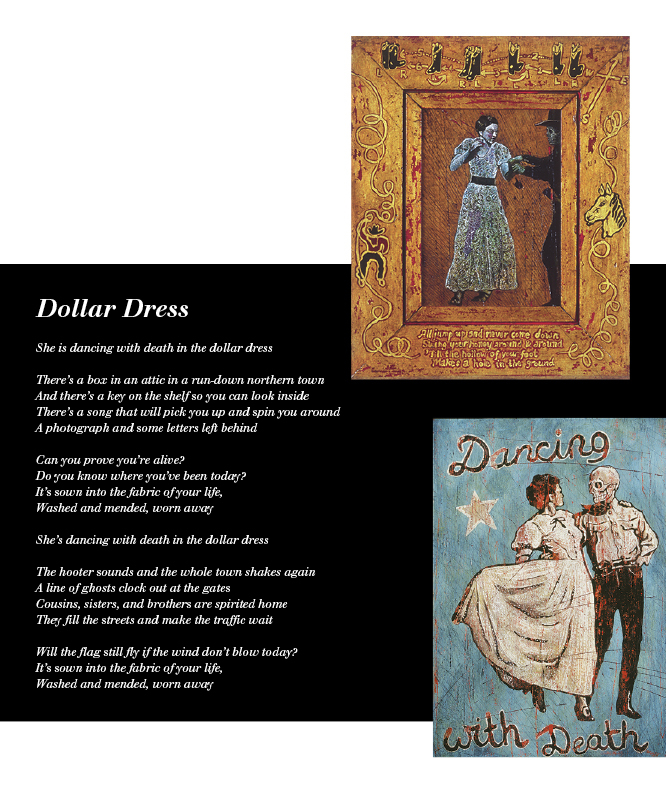 The book also includes an exclusive CD of Langford performing 18 of the printed songs. Langford’s “song-paintings” fuse ­publicity-shot portraiture with imagery derived from folk art, Dutch still life, classic Western wear, and the cold, cold war—all instilled with sharp, sardonic wit and a ­Constructivist sense of the power of language. 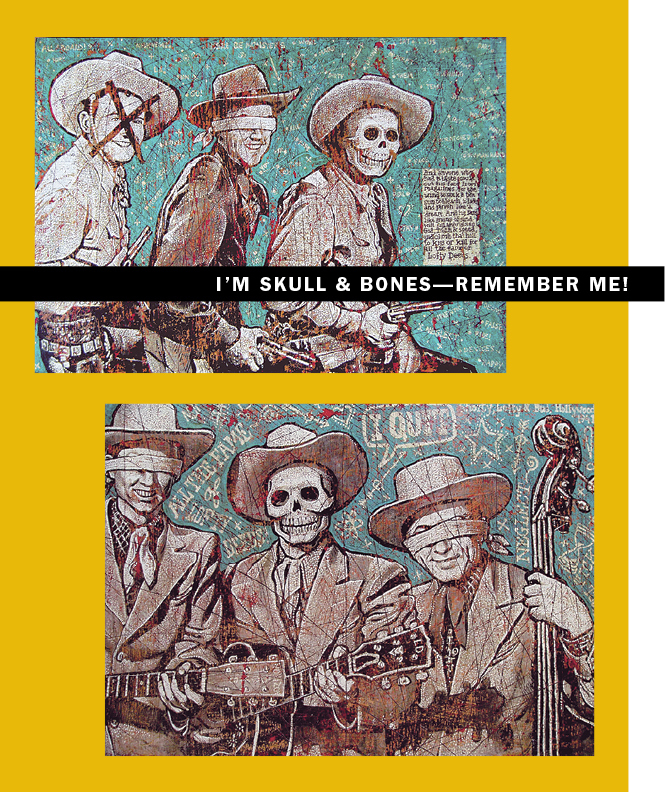 He applies his distinctive style to the depiction of American music giants such as Bob Wills, Hank Williams, and Johnny Cash, and also to more ghostly, marginalized figures—blindfolded cowboys, ­astronauts, and dancers—jerked around by the forces of success and exploitation, fame and neglect. It’s a style supple enough not only to express the artist’s deep regard for his musical heroes, but also for him to comment on the death-dealing tendencies in the culture of his adopted homeland, from the killing off of authentic popular music by ­homogenized, mass-marketed drivel to the embrace of capital ­punishment as a response to social ills. 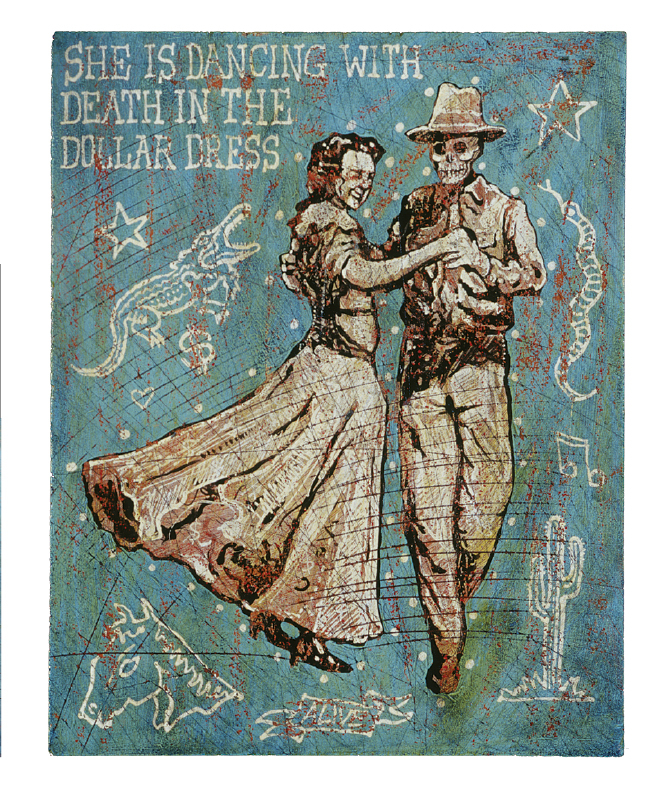 The woman twirled around by a skull-headed figure in the series Dancing with Death in a Dollar Dress stands not just for country music, but for America itself.